As per last October's Global Drawing Day, we will be inviting Cambodian cartoonists to congregate at Living Room Cafe in Phnom Penh to produce artwork: one artist - one page - one hour. The theme? Introduce yourself. If we can get a 'hello' from Australian artists, we've got enough for a zine. Also game for jam strips. 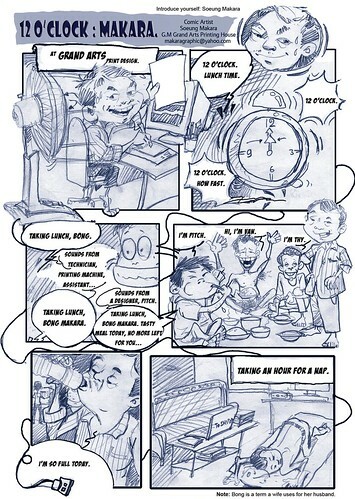 Here is an example from last drawing session, by Soeung Makara. (Translated.) We'll have some more examples up shortly. 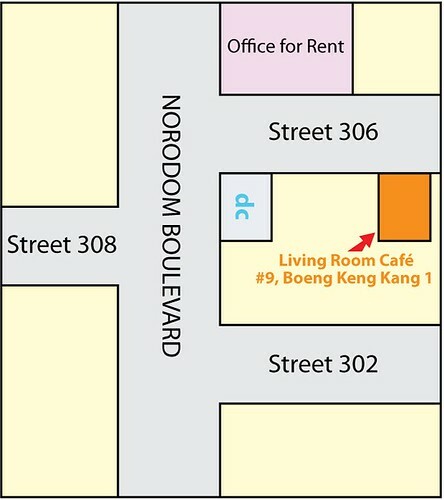 Map for Living Room Café, Phnom Penh. Started by John Weeks. Last reply by John Weeks Jun 5, 2009. Started by John Weeks. Last reply by John Weeks Jun 4, 2009.